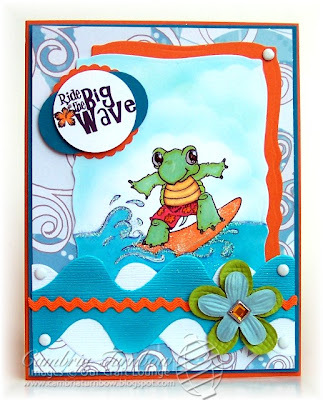 The OCL Design Team Blog Hop! It's June! Can you believe it? May just FLEW by. I've got a ton of new, fun, exciting things to tell you. I'm sorry this got kinda long, but if you read the entire post, thank you! I appreciate all of you who visit, and comment and email. I hope you can hop around with us today and visit Our Craft Lounge's official Design Team. Joy and I really weren't so sure we'd ever have a design team for OCL. We have so many amazing friends, who also happen to be the most brilliant stampers EVER... so how do you narrow it down to just a few? It's impossible right? It is impossible. But, we were fortunate to have a small group of good friends who have been helping us all along. They've helped us make samples, they help us with ideas, they help us with sentiments, they help us laugh and stay sane on days when things felt overwhelming. One of these sweet friends, is going to coordinate an official design team for Our Craft Lounge. Let me tell you, she has done an AMAZING job. Please help me welcome our DT Coordinator, Kendra Wietstock! I aspire to your organizational skills my friend! I know they will keep you inspired! We feel blessed to have you girls! Thanks for all your help! There are more fun things to come soon. My friend Lila Holgate is working on the OCL blog, and if you signed up for our newsletters, she is the master mind behind those! My friend Heather McNally is organizing a OCL swap and the monthly sketch challenge over in the OCL forums. You can head over and sign up now! My friend Kisa Peters is helping me do local classes and make and takes. Those events are also posted in the forums. We are also featuring a Spotlight Set of the Week! This will be hosted in the forums until the OCL blog is up and running. Happy Friday everyone! Does it still feel like Thursday to you? Monday being a holiday always throws my week off. It is Friday! My twins come home from Outdoor School today, and I can't wait! I missed the little boogers! I'm sure they had a blast though. This weekend's sketch is by Lori! Head over to her blog to check it out. Thanks for the fun sketch Lori. pieces of the white strip, layered over each other. I added a little extra Shazam to the waves with Cosmo Crystal Crafty Sparkles. LOVE that ultra fine glitter. I also added Shimmerz to the surfboard. Kona is stylin! This set, Hangin' Loose with Kona is an eP exclusive and it's available now. Click HERE to see the entire set. :) If you want to see a ton of awesome samples, see the previous post. It was Joy's birthday and we had a surprise par-tay. Big thank you's to everyone who came and stamped and went over to wish Joy a happy birthday. I KNOW it made her day! Paper: Neenah White, Only Orange, Taken with Teal, Creative Imaginations Designer Paper (Art Warehouse), Bazzill Cardstock Strips. 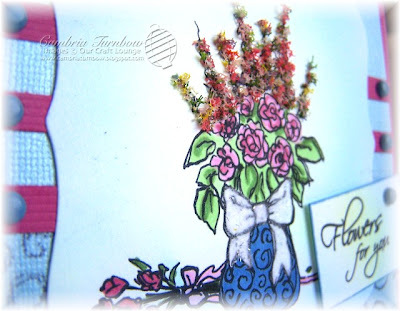 Other: Prima Flowers, Rhinestone Brads (Stampin'Up! ), White Brads, Crafter's Tool Kit, 1 1/4 inch Circle Punch, 1 inch Circle Punch, Marvy Scallop Punch, White Gel Pen, Dimensionals, Curved Rectangle Nesties, Big Shot, Cosmo Crystal Sparkles, Quickie Glue Pen, Orange Rick Rack, Scor-Pal, Zip Dry, Glossy Accents. Hope you have a terrific weekend! Kisa and I are off to Roseburg tomorrow for Scrapfest at the fairgrounds. We'll be in the Memories of Time booth helping with make and takes. If you are in the area, I'd love to see you! Jennie is going to be there too.... I'm sure she'll attempt to get Kisa and I all "dirty" and try to get us to make something collage. I'm actually looking forward to it.... here we come Jennie!!! Happy Birthday Joy, from Kona (and me)!! Happy Birthday Mounds!! I call my friend Joy Kennedy, Mounds... well, I TRY not to call her that in public. It's a nickname that started long ago at SCS... I think inside the pink playhouse thread, and it just stuck. LOL. You know, the candy bar.. Mounds of Joy? She brings everyone mounds of Joy INDEED. I can't even tell you how much I adore her.... I'm sure a lot of you feel the same way. She is a very special friend and we all love her VERY much. Daisy and I (plus a whole lot of Joy's friends) got together and we are throwing her a surprise birthday party via the internet! So... SURPRISE MOUNDS!! If you want to play along, head over to Joy's blog and wish her a happy birthday! I hope your birthday is DA bomb sweet friend! 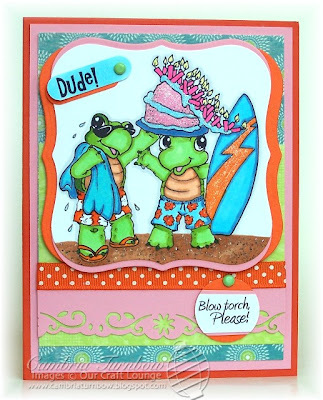 I told you yesterday about this exclusive stamp set called Hangin' Loose with Kona, only available at eclectic Paperie , but I didn't tell you that Joy absolutely LOVES Kona and that she thinks it is releasing tomorrow, but really..... to celebrate her birthday, Daisy is releasing the set TODAY! Not tomorrow like Joy planned! Go... now! Click here to get Kona right now!! Check out the links below to see more birthday wishes and samples of this adorable set. (if I did not get you added to the list, please email me so I can add you.) You can also put in epkona in the search box at the SCS gallery and see all of the uploads there. Can you see the sweat from holding up the big cake? Little Kona even came to help and the candles are still sliding off. Gives new meaning to "waxing the board." The cake and the blow torch sentiment are from the set Granny's Secrets. Joy isn't even old (30 something), but I could not resist using that cake! The cake and the frosting are covered with Shimmerz, along with the stripe on the surfboard. The sand has brown Sparkly Fluff all over. I just added little dots and lines with my Quickie Glue Pen, then sprinkled it on, then tapped it off. Perfect for sand! 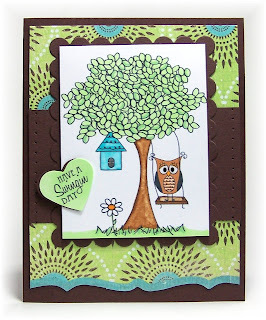 The designer paper is My Mind's Eye, I used Stampin Up! 1 inch Circle Punch and the Word Window Punch for the sentiments and the Label One Nestie for the main image. 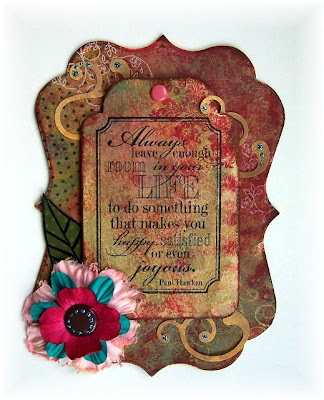 I used a Friskers border punch I bought at Memories of Time, (my local LSS) along the bottom. The candles sparkle with the help of my Sakura Stardust Pen. I hope Joy likes it....I know she is SURE to love all these cards! Check em out! Have a great day everyone! Hope Kona put a smile on your face. Thanks for stopping by and coming to Joy's surprise party! So... here we are months later, and Kona is official, and exclusive! eP will be releasing him on Friday and he will only be available for a limited time. You do not want to miss out on this fun set. Stay tuned for more sneak peeks! I used Copic Markers to color him. I first colored him in with YG11, then went back and added some shading with YG03, then went back with the YG11 and blended it together. On his towel, I used B00 and B45 doing the same technique. to color the sky, I outlined Kona with the brush tip of my BG10, then used the chisel end making quick circles. The sand speckles is a stamp, included in the set. Other: Soft Suble Brads, Crafter's Tool Kit, Jody's Foam Dots, Tag Die (Spellbinders), Octagon Nesties, Polka Dotted Ribbon, Sakura Stardust Pen, Scor-pal, Zip Dry. I'm getting ready to head to Roseburg on Saturday. Me and my friend Kisa will be doing take and makes in the Memories of Time booth at Scrapfest. If you are in the area, I'd love for you to stop by! I'm going to be a good blogger and blog the rest of the week! Thanks for having patience with me. Have a great week everyone! Hey everyone! TGIF! Wow, this week flew by! Are you ready for a long weekend? My kids sure are! 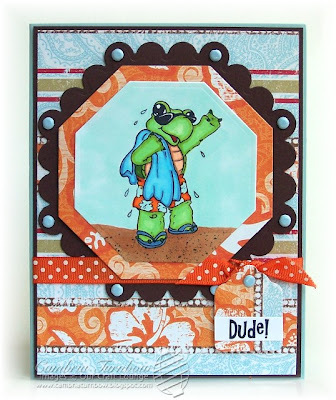 This weekend's sketch is by Mary Jo... so swing on by and check it out on her blog. LOVE this sketch MJ... thanks! I finally got to play with some Flower Soft! 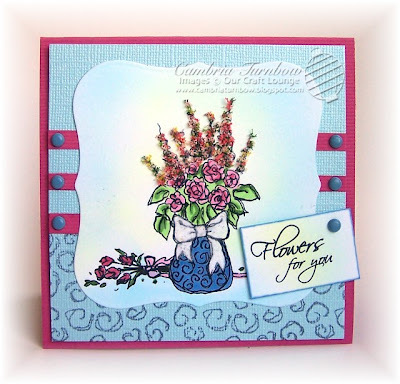 Boy does it bring flowers to life on cards! Fun stuff. I used the Spring colors on the small long ones and the Summer color on the fatter long flowers. I used Sugar Sparkly Fluff on the Ribbon to balance it out. I used Glossy Accents to adhere the Flower Soft and it worked great. The white looking spots on the card is actually pale yellow. I stamped my image, then sprayed on Pale Yellow with the Copic Air Brush system, then added some blue. I didn't do any masking since the color was light, I could just color right over it on the main image. I did the same on the tag. Ink: Ranger Distress Soot Black, Copic Markers, Night of Navy. Other: American Craft Brads, Crafter's Tool Kit, Label One Nesties, Big Shot, Flower Soft Spring and Summer, Glossy Accents, Sparkly Fluff, Quickie Glue Pen, Zip Dry, Eclipse Masking Tape, Stamp-a-ma-jig, Scor-Pal. I honestly don't think I've been so busy ever in my life. I mean, I thought I knew busy, but this is nuts. I'm feeling just a tad overwhelmed with all that is on my plate. Ever feel like that? It's all good... I'm gettin' by with a little help from my friends. :) I hope to be a better blogger next month. Have I told you I get to teach a class each month at my LSS, called Memories of Time? I'm really excited about it! I love the girls down there... it's just a blast every time I visit the store! 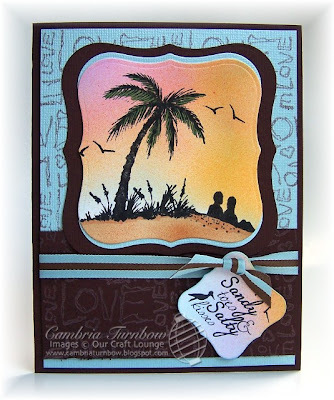 This month, included in the class fee, is the stamp set Sandy Sunsets. Kisa and I are getting everyone addicted to Copic Markers. Which I'd love to take credit for, but I think it's actually THE MARKERS. LOL. Here is one of the projects we'll be making on Friday. This one is made using the Copic Air Brush System. You know what I love about this set? You can't mess it up. Its a totally EASY. Just spray on some color and you are done! :) Spray... or sponge! I LOVE the look of sponging, but it's something I haven't mastered. Well, my sweet friend Kisa is going to show us how to sponge! Man, do I have great friends... not only is Kisa fun to hang out with, she is going to help me with my first class. Want to see the other project? Head over to visit Kisa... girl can sponge baby! So... last chance to stop by or call Memories of Time and sign up. I promise it will be fun! I'd LOVE to see you! Ink: Ranger Soot Black, Copic Markers YR04, B00, RV04, E31, E33. Other: Label One Nesties, Scor-pal, Ribbon (American Crafts), Zip Dry (LOVE THAT STUFF... need to order it by the case! ), Jody's Foam Dots. Hey everyone! Sorry I've been a bad blogger... I just can't keep up these days. Why does my mojo fly south when I need it most? Maybe because I have a zillion things on my plate and not enough brain power (or coffee) to keep up! LOL. I'm sure the other sketch team girls will knock your socks off and rock this awesome sketch! Maybe I can come up with something later today, after I get a good night's sleep. Here's the rest of the girls playing this week! Hey everyone! How's your week going? Mine is crazy busy .... AGAIN! LOL.... crazy busy seems to be the new normal these days. 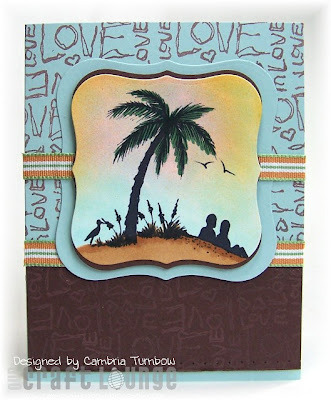 Today, I'm sharing a card I did with the Copic Airbrush system and one of our new sets called Sandy Sunsets. I think this is one of my favorites done by Marianne from this release. I always love cards that are easy, but don't look easy kwim? I also used the background set called Whispy Patterns... it's another favorite. :) Along the bottom of the brown cardstock, is all distressed (hard to see in the photo.. sorry). Airbrushing is SO easy with Copic Markers. Just pop in the marker and go. Clean up? Just pop it out and put the cap back on. Gotta love that huh? If you don't have an airbrush system, you can get similar results by sponging. Both are easy and fast. After I was all done with the airbrush and filled in the sand, I added some extra green to the palm tree leaves with the brush tip on my marker. So... do you want to try this techniqe and others? You can come down to Memories of Time, here in Coos Bay and sign up for my class on Friday, May 22nd! I'd LOVE to see yah! The class fee includes the stamp set, and we'll make a couple really fun projects you can take home. Call, or stop by Memories of Time and reserve your spot, space is limited, first come first serve. I know it's going to be a blast! Paper: Soft Sky, Neenah White, Chocolate Chip. Ink: Ranger Distress Soot Black, Copic Markers, Craft Close to Cocoa. Other: Copic Airbrush System, Label One Nesties, Ribbon (SU! retired), Crafter's Tool Kit, Zip Dry, Scor-pal. That's right, our very own Debbie Corbari is the Featured Stamper at SCS! Her gallery is rockin'!! I chose to CASE this beauty from her gallery. I changed the designer paper, the stamp set, and the flower placement. She has THE best gallery! Lots of fun things to CASE! 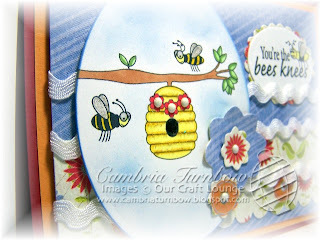 I used the stamp set Bees Knees... designed by none other than Debbie Corbari herself! This is one of the first sets she put together for us.. and I fell in love with those bees! I used Copic markers for all the coloring. I added some shine with atyou Spica pens. I used the little honey comb flowers to decorate the hive and added 24k Gold Sparkly Fluff in the lines of the hive too. Glassy Accents on the hive opening and on the bee's eyes. The flowers are my new Dahilia Nestie flowers. I got those tiny little brads at my LSS called Memories of Time. They are made my Bazzill. I hope you had a wonderful Mother's Day. I spent most of the weekend working, but I did get treated to a really nice dinner with my family and breakfast in bed! Oh, and Averie and Daddy picked me fresh Lilacs from the yard. Now the whole kitchen smells wonderful. Plus... I got lots of extra hugs. Oh.. and my driving son (I still can't believe he can just take off when he wants), took his brother down to the mall and brought me gifts! ALL ON THEIR OWN! Sheldon bought me some pink Skull Candy (he says they are THE best) headphones for my ipod. Jayce bought me an angel, and some dark chocolate kisses. How sweet is that? Averie made me the sweetest flower at school. The gifts are nice, but the best thing is just feeling extra loved and appreciated. Hope you felt some extra love this weekend! Thanks for stopping by! Hey everyone! I cannot believe it's Friday already... man, this week FLEW by! Are you ready for another weekend sketch? 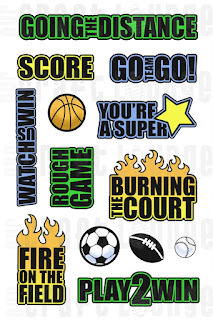 Do you have some stampin' time this weekend? It's my turn this week! I hope you like the sketch. 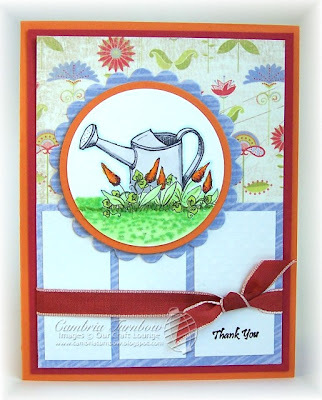 I used the new stamp set called Garden Thoughts by Our Craft Lounge. I colored some orange on those flowers (Y38), then highlighted with some red (R24), then came back with the orange and blended them together. Touched them off with just a few dabs of Sparkly Fluff... same with the grass. 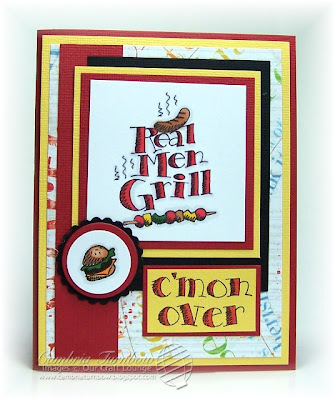 The Thank You sentiment is from the stamp set Going Gourmet. 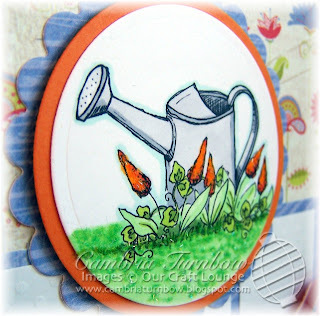 Stamps: Garden Thoughts, Going Gourmet (Our Craft Lounge). Paper: My Mind's Eye, Riding Hood Red, Pumpkin Pie, Polka Dotted White (Bazzill), Neenah White. Other: Riding Hood Red Ribbon (SU! ), Circle Nesties, Jody's Foam Dots, Quickie Glue Pen, Sparkly Fluff. Here is the sketch... I hope you can play along! Don't forget to check out the rest of the sketch team (who could play this week). Click on the following girls to see what they did! Have a wonderful weekend! Happy Mother's Day to all the Moms! Thanks for stopping by! So.. thanks Jenny! I'll see you soon in your classes! If you live in the area, I highly recommned the fun classes down at Memories of Time... including mine later in the month. *wink* You can call or stop by to sign up! What a fun bunch of girls! LOVE that store! Okay... so I'm buried in making card samples for stores. I have 90 done and 90 more to go. Just needed to take a break and stretch my neck. I think I am getting really old, because my wrists are killing me! I absolutely love this set drawn by our new friend Debbie Corbari. This tree is one that she sent over with her original artwork for us to view... we didn't use it in the same set, but I told her we NEED it. We have to have it in a set. Then, we remember at CHA we had many requests for owls. I just about fell off my chair when I saw t his owl with the "piggy tails". How stinkin cute is that? The tree is WAY fun to color too. I love her style. 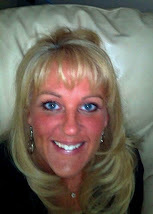 Don't forget... we are welcoming Debbie to our team with a promotional code all month long! 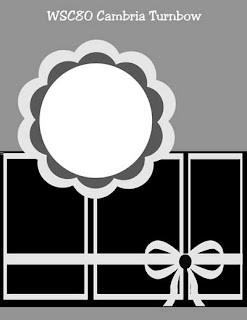 Just add welcomedeb at checkout to get 10% off your entire order! I wanted to send out a big thank you to everyone who played along with the big blog hop! It was tons of fun. I hope you remember to check the blogs again to see if you are the winner... we have a couple sets unclaimed. I had A BLAST down at my LSS store called Memories of Time over the weekend. My friend Kisa came down and helped me with make and takes. We both had a blast... stampers are THE BEST. I learned how to step out of my box and do dirty too! One of the instructors at MOT teaches the whole messy, Tim Holtz, collage stuff. Thank you Jennie... for SHOVING me out of my box, and making me get dirty. Of course as soon as I walked away and washed my hands, I was back into my clean box again. I'm totally going to sign up for her classes... it takes baby steps right? BIG thank you to everyone who braved the weather to come down and play with us over the weekend! My class will be on May 22nd at 6:00 pm. I'd love to see you! So, back to another busy week! Hope you have a great one! Thanks for stopping by! Blog Hop GAME ON Winner! 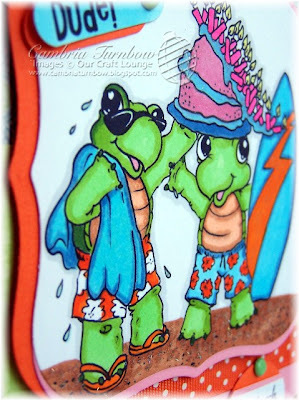 Cool stamps; I love the colors you used on the sample. Very "teen girl"! Email me at cambria@ourcraftlounge.com Kay and GAME ON it on the way to your house! TGIF! It's Friday! Today is the day that Our Craft Lounge releases our new Summer Release! Today, you can see all the new sets, plus have a chance to win one of each! Leave a comment on this post for a chance to win this set called Game On! I will draw for a winner on Monday. Want a chance to win the other 24 sets? See the list of bloggers below. 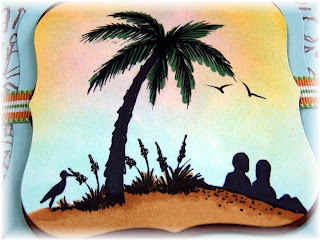 Pay attention to Debbie's blog (our new illustrator), she has something extra special to share with you. Thanks so much for all the nice comments and emails this week. It was a lot of fun to share these sets with you! 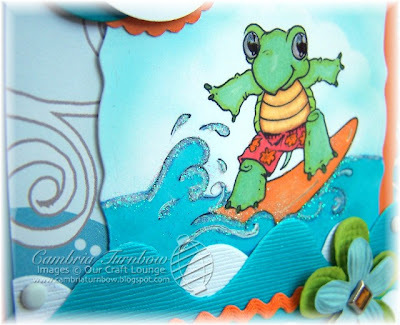 Hope you enjoy the blog hop! Hope you have a GREAT weekend! I'm spending the whole day Saturday at Memories of Time here in Coos Bay stamping! If you are in the area, stop in and say hello!